We all want a happy ending. But no life reaches a happy ending without some conflict. That’s why we need novels and nonfiction books. We want to see someone overcome the odds and win the victory, find their true love, or solve the crime. We want to find proven answers to real-life problems. And so we read. We investigate. We learn, and we grow. Conflict is key to hooking our readers’ attention. If you’re writing a nonfiction book, you’re tackling an issue your target audience is facing. They’ll want to know what solution you offer to the struggle they’re having. So start your book with some conflict. In your introduction, show the problem you’re offering a solution to. You can do that with one of the four ways listed below. Talk to the reader as a friend, and offer hope. 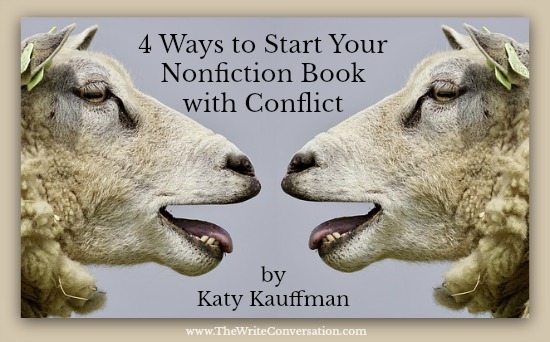 Here are some tips for how to use conflict to start your book. Share a goal (or an ideal) and then explore obstacles to that goal. Life is full of obstacles, but God doesn’t leave us without resources and help. Plus, He is our greatest resource to help us overcome the problems of life. When you start your book, contrast what you want the reader to shoot for and the obstacles that get in the way. 3. Share a personal story. Readers need to know that you’ve been there too, that you’ve endured the kind of conflict you’re writing about and you’ve come to the other side (or you’re working on it). Share a story that stays on topic and illustrates the kind of conflict your book covers. Let them feel your struggle and your desire to break free or find relief. Don’t share too much personal detail that focuses on yourself, but tell enough to let them know you’re a veteran of this conflict. The advice and wisdom you share has been used (by you) and proven sound. Numbers and percentages can show that a problem is real and desperately needs to be addressed. However, when we start a book with conflict, we want to be sensitive to the struggles people face. So avoid using statistics or stories that shock. Instead, use them as a wake up call for action and so your readers know they aren’t the only ones facing this problem. 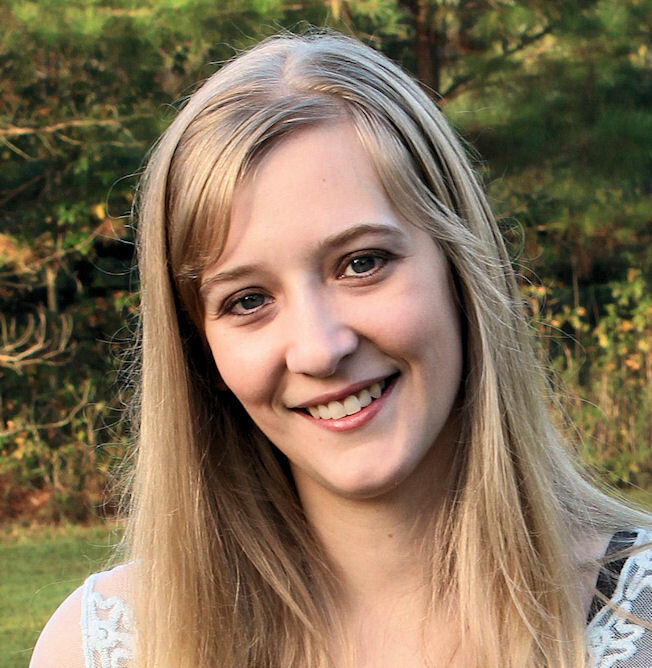 Think of the topic of your nonfiction book. Which of these four ways best suits it? Thank you, Cathy! I look forward to seeing you too. The conference will be so much fun. Hello, Jim, I am glad this post was just right for you. It seems like you could combine numbers 1 and 2. Or introduce one of the points and follow up with a different one. Just be careful you don't overload your first paragraph with too much detail. But yes, I think you could make certain combinations. God bless you as you write. I love those guidelines. Since I write non-fiction I will definitely keep this list close by! Awesome. Thanks for telling us, Barbara! May God bless your writing. I don't write non-fiction but the idea of conflict and resolution is a great one. Thank you, Ingmar. Asking a question helps to get the conversation rolling in the reader's mind. It's definitely a good one to draw them into a book. Thanks for commenting even though you write fiction. I believe nonfiction writers need storytelling skills as they write. I'm not writing a non-fiction book, but these ideas can also be used for blog writing. You've given me ideas! Thank you. Yes, they can be used for blogs too, and that's a great point to bring up. Blog posts especially need good beginnings to stand out among so many posts on the web. Thank you, Jackie! Thanks for these suggestions, Katy. Including conflict is one of the tips I recommend in my workshops on writing stories for Chicken Soup for the Soul. After all, real life is full of conflict. Great post! Hello, Tracy! Yes, it is. Thank you for your comment, and I'm glad we touched on the same point. It sounds like your workshop would be very useful. Thanks for connecting.